When I first started this blog I posted about places in Ohio I would like to visit. I have visited some of them since then, but there are still many places on my list. Now as my time here is dwindling (it’s down to one week! 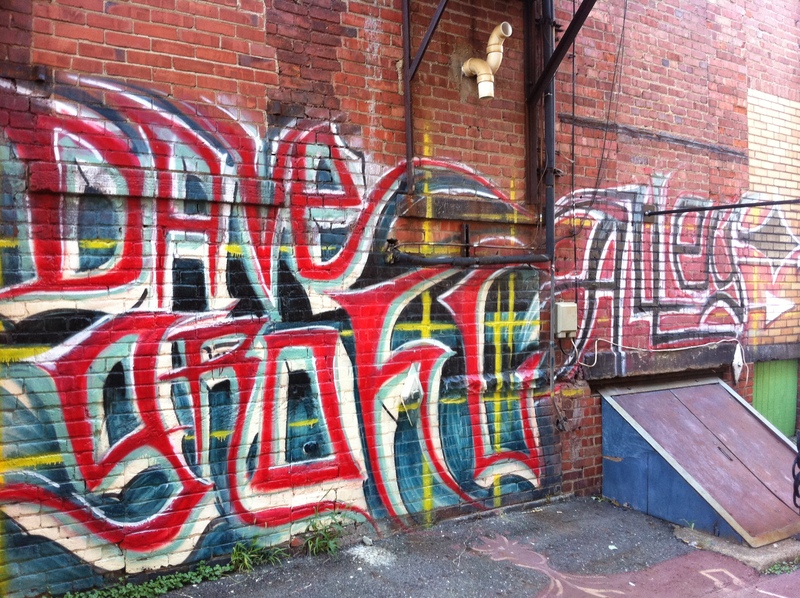 ), there are sights and sounds around the state I want to spotlight. Some are old-time favorites, others I have been introduced to only recently and the rest are places on my to-do list. These places include restaurants, museums, gardens and other institutions, all reasons why I truly do love this state. My last installment was Franklin Park Conservatory. 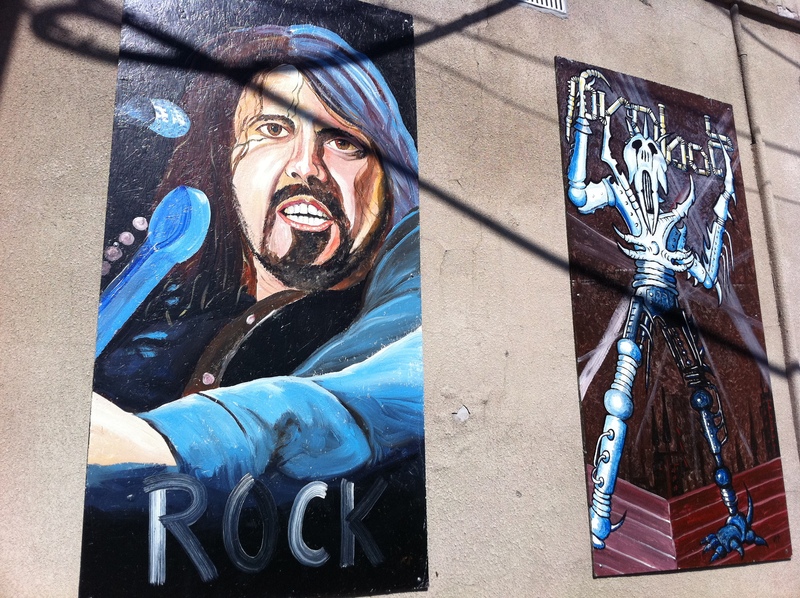 Up this week is Warren’s Dave Grohl Alley. A few weeks ago I learned that Dave Grohl, the Foo Fighters singer and former Nirvana drummer, was born and raised in Warren, my hometown. It is sad that I did not know this and that the town itself isn’t spotlighting its famous former citizens. 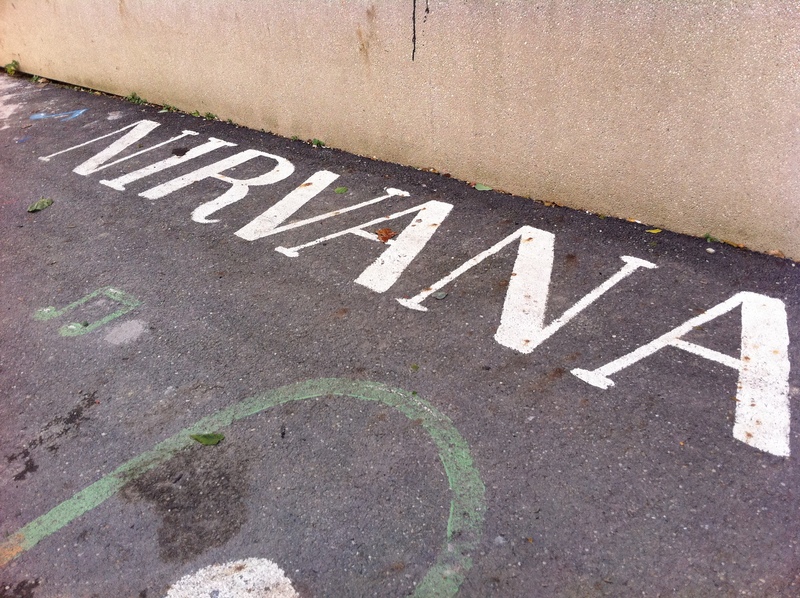 As I continued reading about him, I found out that there is an alley named after him in town that is filled with murals and paintings of him, about the Foo Fighters and Nirvana, and of general music themes. He even came to town in 2009 and sang at the alley’s dedication ceremony. The art was really nice and the paintings hanging on the backs of buildings seemed to be aging well. 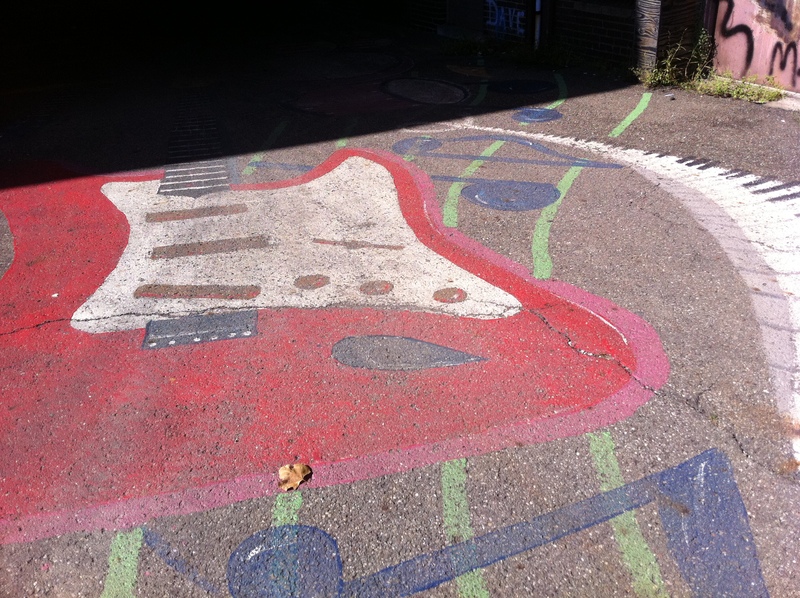 The paintings on the ground were not fairing as well, but that’s expected when you can walk on them. I was pretty excited that the art in the alley included so many paintings. 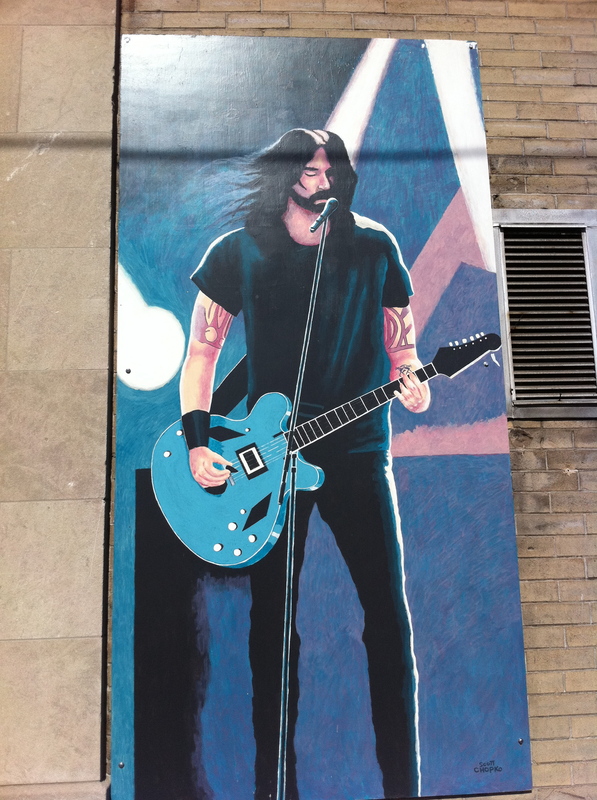 Watch the slideshow below to check out the rest of the Dave Grohl art in the alley. This entry was posted in North America, Photos, Saturday Spotlight, U.S. and tagged Music, Ohio, Photos, Travel. Bookmark the permalink. I had no idea! Awesome! 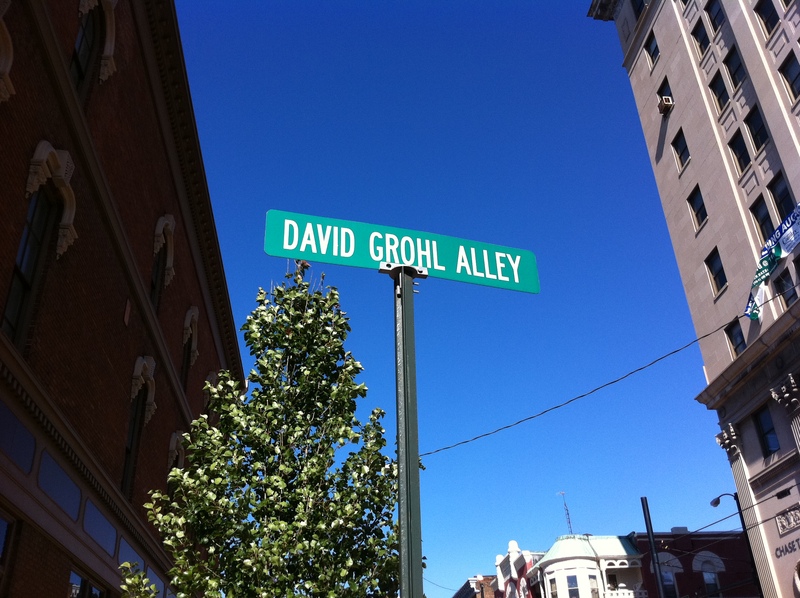 I didn’t either and was quite excited to find out about the alley!